One of Singapore’s fastest rising stars of magic and Asia’s premier fire illusionist. 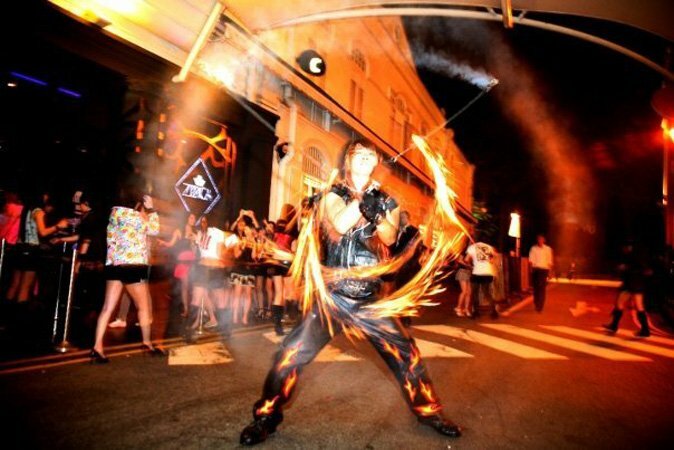 A pioneer in the local fire arts scene, Danny blends sophisticated magical stage illusions with his signature brand of hard-hitting fire spinning and stunts. Crowned “The Flame of Asia” within fire art communities around the world, he is a respected exponent artiste of “Freedom Fire”, an original and highly flamboyant brand of fire and POI twirling incorporating both pseudo martial arts and hypnotic trance techniques based largely on exhilarating speed and power. His sheer amount of skill in human interactions, coupled with professionalism and know-how at work, truly make him the “go-to” person when it comes to effective entertainment.